From realtor.com I found this article interesting and smart for those thinking outside the box on making a home affordable and accessible for aging in place. I like the idea of building an ADU (accessible), living in it essentially free from the proceeds of renting your large home out–and eventually have in-home care live in the large home/or a reverse mortgage it. Read further and explore your options to age in place smartly. Home Buyers Find That It May Be More Affordable to Buy two Homes Than One. It took four long years of saving and planning. But finally, he was able to purchase land in suburban San Carlos, design a 2,200-square-foot home, and then have it built. The key to making it all work financially: installing an attached 800-square-foot, two-bedroom, two-bath unit where he and his wife have lived since 2015 while renting out the main house to pay off the mortgage. 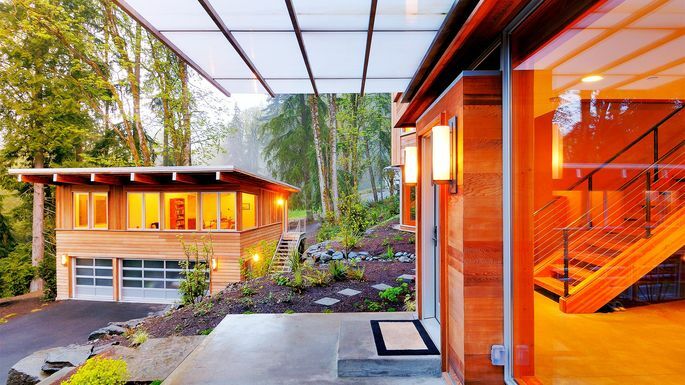 Add-on residences like this, known officially as accessory dwelling units, or ADUs, have been catching on all over the country as a way to combat the housing shortage and steadily rising home prices—and give potential home buyers a much-needed break. An ADU could be a guesthouse or a basement apartment with a separate entrance, or a converted garage. Also known as granny flats or in-law units because they’re often used to house elderly family members, they can also be rented out for additional income. That’s a lot of space that could be rented out—and a lot of money that homeowners could be pocketing. By subdividing a home into separate apartments or building an ADU, folks can do so without losing their privacy. Or they can capitalize on their backyards as Chin did. Some companies are trying to get in on the action. Dweller.com builds, installs, and maintains ADUs on behalf of the homeowner for an upfront cost plus 70% of the rental income. In Seattle, CityBldr started a service to streamline ADU design and permitting and recently opened an office in Los Angeles with plans to expand. And thanks to the changes in fees and laws, Valley Home Developers in Fairfield, CA, is opening its own manufacturing plant to produce prefab ADUs. Check out relator.com for more ideas!